Helen has been editing lots of levels to get them ship-shape for the final game. This means running the automated AI test system to make sure they aren’t too easy or too hard, and it also involves making them look nice and be interesting to play. 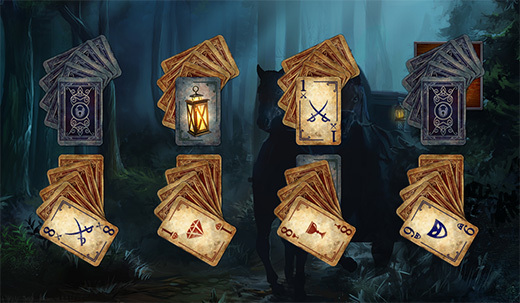 After she has a bunch of them ready we review them and pick out the most suitable ones for duels and puzzle hands and then make further edits to add in the new locks types I recently coded, and to add in hidden crates of goodies or goal items. 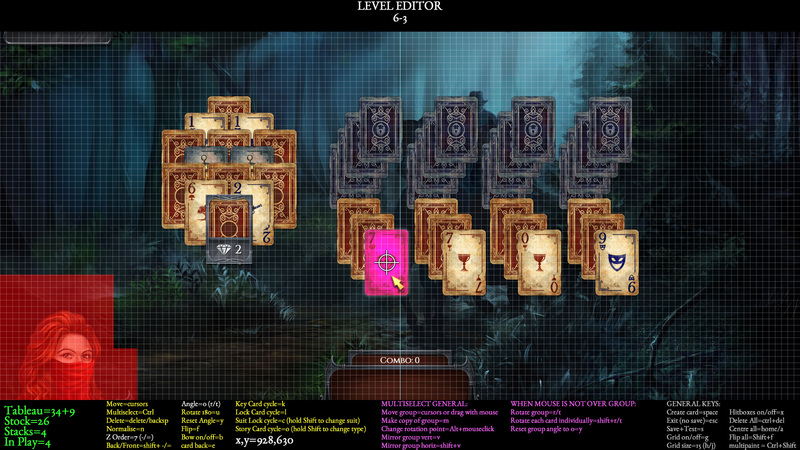 I’ve also made lots of improvements to the built-in level editor so that Helen can manipulate groups of cards easier and in more interesting ways. This has already paid off with some great new layouts. I love making level editors and would like to make a bunch of levels now instead of coding, but that’s Helen’s job! 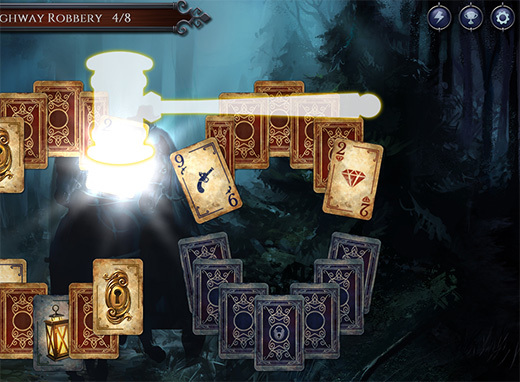 I added suit locks to the game a while ago (they are like Regal Locks from Regency Solitaire but you unlock them by playing cards of the correct suit instead). However, when editing levels recently I realised that the inside of the frame needed a shadow to help separate it from the underlying card. I also put a shadow on the lower and right edges of the suit lock so it appears more bulky. These are the kind of little details that help the readability and beauty of a game that I probably shouldn’t be spending time on right now, but I can’t help it. I coded particle effects for the new locks including: gunpowder barrel, goal bars, grave, hedge, and thorns. The screenshot above is what you see when you dig up a grave with a shovel! I also finished off the code for the Magistrates Gavel which can be used to smash off a selected card and two more random nearby cards. It’s pretty cool. 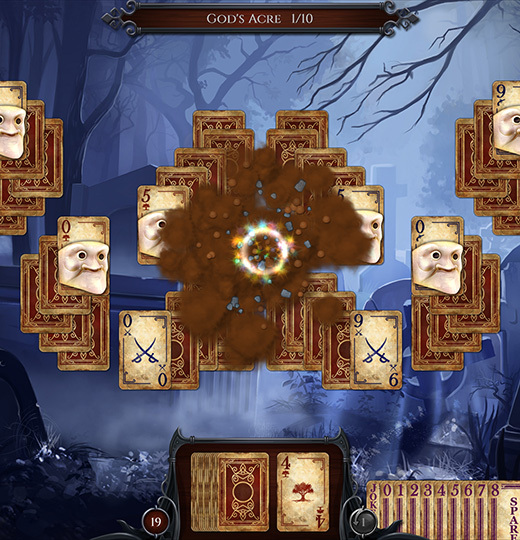 – Coded gunpowder barrel to make face up cards fall off within a certain radius. – Sent final art list to artists. This is for crate items, large locks, gunpowder barrel, new keys and some other minor bits and bobs. – Plugged in a grave digging sound from Powerup Audio. – Tooltips for new keys/locks. – Edited found item messages. – Fixed a bug with Branding Iron ability. It didn’t count down the suit lock when changing to a wildcard. 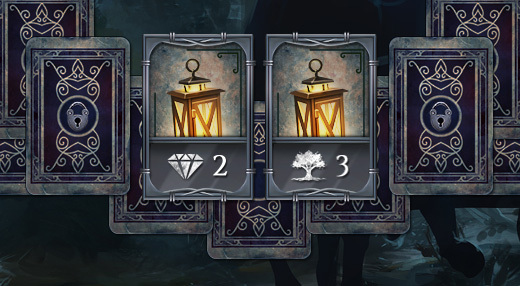 – Added support for crates to not just be on the bottom layer so that they can be mixed in with cards now. This entry was posted on Tuesday, October 3rd, 2017 at 1:27 pm and is filed under Developer Diary, Grey Alien Games. You can follow any responses to this entry through the RSS 2.0 feed. Both comments and pings are currently closed.